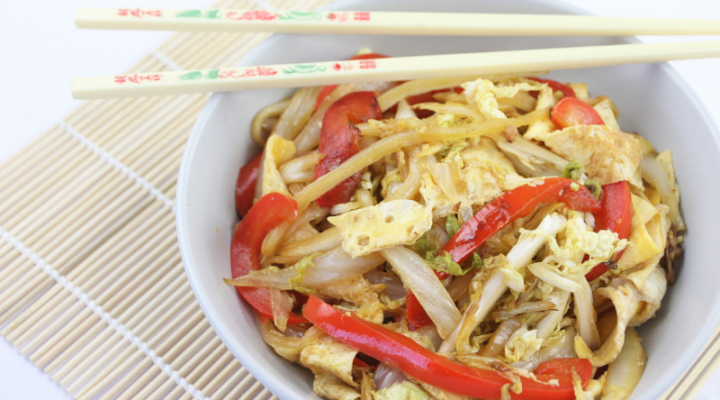 There's a lot of confusion out there about what you can eat when you have type 2 diabetes. And eggs happen to be one of those foods. In fact, the nutritional misconceptions about eggs runs far and wide. 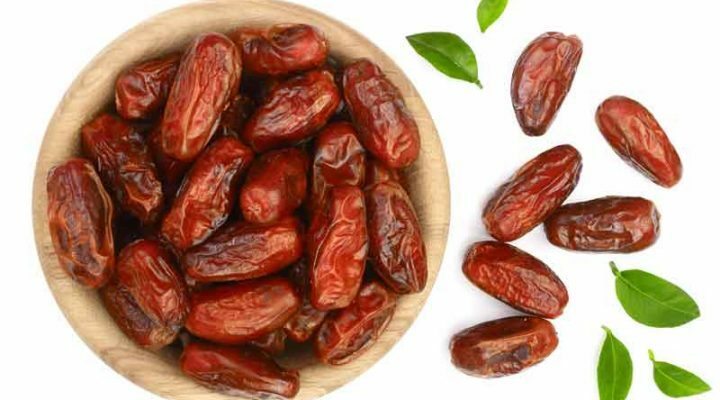 For instance, you might have been told not to eat them because they are high in cholesterol and therefore they will raise your cholesterol levels. Or you might have been told not to eat the egg yolks because of this reason. Well, you may be surprised to learn that you can happily eat the eggs and the yolks without any harmful effects to your health. In fact, eggs are a super healthy food that make a perfect addition to your diabetes diet. Let's start by comparing a full egg, the yolk and the whites to examine all the goodness eggs have to offer. As you'll see, both parts of the egg contain nutrients but you will notice that the egg yolk contains some valuable nutrients critical to good health, such as vitamin D – a nutrient that is available in very few food sources. Please share, pin, or tweet this info, then keep reading – thanks! After looking at the nutrition facts you may have noticed: eggs are an extremely nutritious source of protein. They are the most complete protein source on the planet! So not surprisingly, eggs are the gold standard for protein, with most other protein sources being measured against them. Eggs are low in carbohydrates, which means, if you eat eggs they are not going to raise your blood sugar levels. The egg yolks in particular contain many valuable nutrients. In fact, the yolks are actually the most nutritious part of the egg, containing calcium, choline, folate, vitamin A and vitamin D, among others. While eggs do contain fat, including saturated fat and cholesterol, eating eggs does not raise cholesterol, nor does it cause heart disease. In fact, it’s quite the opposite – eggs have heart healthy benefits. Yes, eggs do contain cholesterol but cholesterol in foods does not automatically equate to more cholesterol in your body. You see, your liver produces most of your body's cholesterol internally. And by nature of the way your metabolism functions, things like sugar, which is part fructose, promotes more cholesterol production that an egg. Carbohydrate foods also promote greater production of cholesterol. MYTH BUSTER: Cholesterol in foods does not equal higher cholesterol levels. Studies have shown egg consumption actually improves cholesterol levels (see research below). And most importantly, they improve HDL ‘good’ cholesterol – meaning they improve your heart health, and therefore, are a good quality, nutritious food to eat! You'll also be surprised to learn that a few years ago, the American Dietary Guidelines Committee had to finally admit they made one of the BIGGEST nutritional health blunders in history – they had to remove the concern about cholesterol from the dietary guidelines! While we now know cholesterol is not the problem, this myth is so deeply embedded in society and public health messages that it continues to persist, despite the fact that it is wrong. Yes eggs do contain some saturated fat but you'll notice in the nutrition data that the predominant source of fat in eggs is monounsaturated fat. Monounsaturated fat is great for heart health, it helps decrease inflammation, improves insulin sensitivity, and helps regulate blood glucose. Don't Take Our Word For It, Trust the Research Facts On Eggs! Earlier population studies seemed to indicate there was an association between egg consumption and heart disease. However, population studies only make associations, they don’t really prove anything and they often don’t exclude many other possible contributing factors. In recent years, with new and better research (including clinical trials) becoming available, you can feel confident eating your eggs everyday! A clinical trial (2015) conducted by Dr. Nicolas Fuller in people with type 2 diabetes found that eating 2 eggs per day, 6 days per week had no influence on cholesterol levels over a 3 month period, compared to those with an egg intake of less than 2 eggs per week. The study also found that consuming eggs can help stabilize your appetite and keep you fuller longer. 54% of the participants were taking statin medications, but even so, it made no difference between those who did and those who didn’t – eggs were still considered safe to eat. Dr. Fuller’s team also did a longer follow up study over one year. The results were recently released (March 2018) and found that high egg consumption had no impact on any of the heart disease risk factors such as cholesterol, inflammation or oxidative stress. Another well-designed clinical trial (2011) found similar results. Half of the participants consumed a high cholesterol diet (590 mg/d) with daily consumption of 2 eggs, the other group consumed a low cholesterol diet of 213 mg/d. The results showed no difference in LDL ‘bad' cholesterol. Both groups lowered total cholesterol. But only the high cholesterol egg group saw their HDL ‘good’ cholesterol rise, while it decreased in the low cholesterol group. This positive influence has also been seen in a study (2017) of healthy people – HDL cholesterol increased with each daily increase in egg intake. And when participants were consuming 2 to 3 eggs per day, their HDL-related antioxidant status increased as well. LDL particle size also increased, the particles becoming more buoyant, which indicates lower risk of cardiovascular disease. 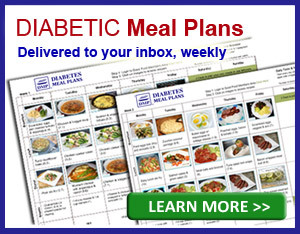 For those with prediabetes, you’ll also be happy to learn eggs do not increase risk of developing diabetes. 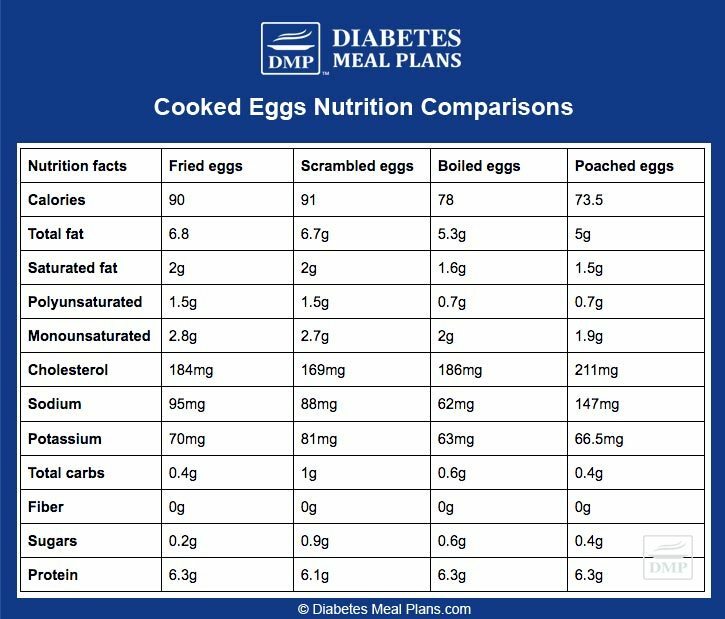 In a large study (2015) of over 65,000 women, following them over 14 years, egg consumption had no association with developing diabetes. Another study (2014) of over 50,000 people also found no connection between egg consumption and development of diabetes. And interestingly, those with a higher cholesterol intake had a 23% lower risk of getting type 2 diabetes. A systematic review of clinical trials (2017) again confirmed the benefits of eggs, concluding: egg consumption has no impact on cardiovascular risk factors – total cholesterol, LDL cholesterol, triglycerides, fasting glucose, insulin or C-reactive protein. And yet another review (2018) found that all well-designed clinical trials to date have found zero association between egg consumption and risk of cardiovascular disease or diabetes risk. How Many Eggs A Day Is Okay? The answer appears to be that you can eat eggs every day if you want to – studies indicating 6 to 21 eggs a week is perfectly fine. Eggs are the gold standard for protein sources. Eggs are a complete and natural nutrient dense food source. The scientific facts show they are safe to eat. So go ahead and enjoy your eggs, including the yolks! So you may be wondering, is there one best method to cook your eggs? Eggs can be fried, scrambled, boiled or poached. Of course, frying and scrambling increases the calories and fat slightly because you add fat to the cooking process. That’s still not necessarily a bad thing and overall doesn’t change an eggs nutritional value all too much. For optimal nutritional value, boiled and poached eggs are best to eat. There are many misconceptions about eggs, particularly in terms of their high cholesterol levels. But these misconceptions have been proven wrong by research time and time again. Eggs fit perfectly in a healthy diet. They are a low carb, high protein and healthy fat-filled food. And research demonstrates they actually provide many health benefits. 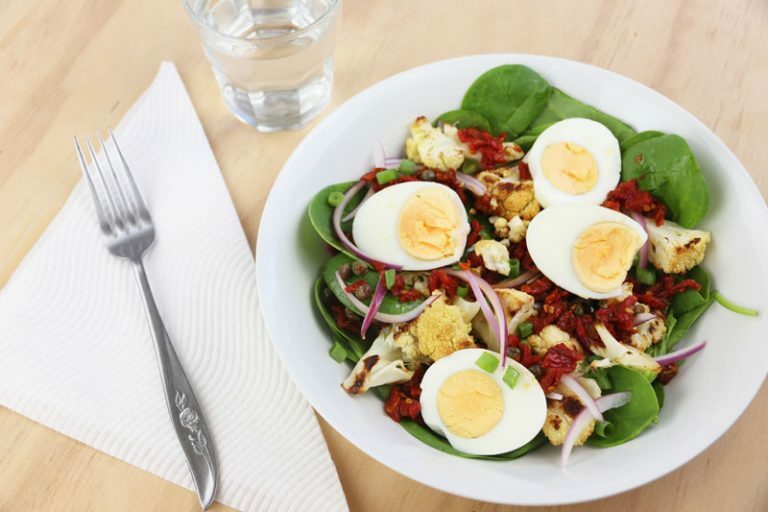 Feel free to add eggs to your meal plan on a regular basis – including the egg yolks! Please pin, tweet or share this info to help inform others. Thanks! I have type 2 Diabetes, am i ok to have two poached eggs on 1 piece of brown bread for my breakfast?? Hi Paul, great question. 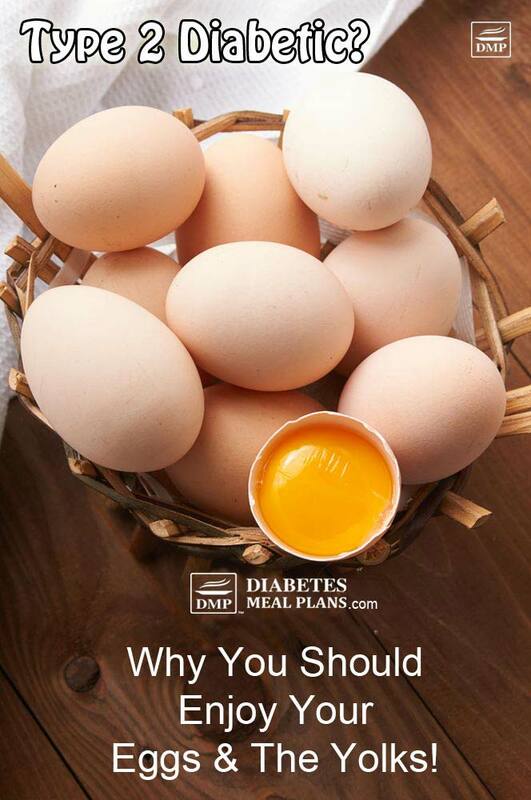 As you just read, eggs are an excellent choice for people with diabetes! However, traditional bread (even whole wheat) is not something that we encourage, it’s simply too high in carbohydrates and raises blood sugar too much. Here are a few suggestions for bread alternatives that would make much better additions to your eggs. 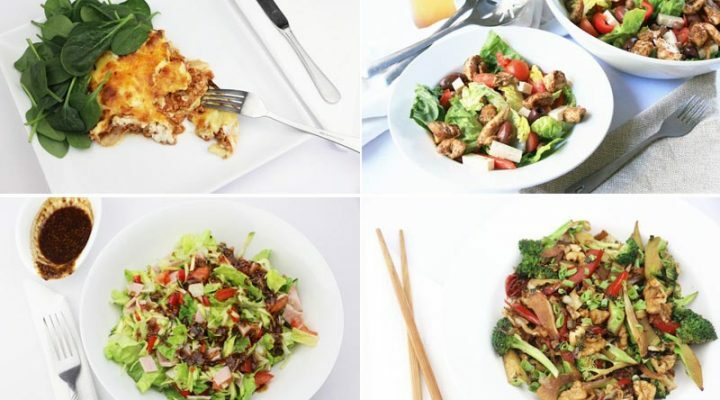 You may also be interested in trying some of the healthy and delicious breakfast ideas as well. Thank you for your site. I have sixteen hens and one rooster and have been giving most of my eggs away to friends, family and my customers. I could eat a dozen easily three times a day, but I know that would be absurd. I was just told that I am on the borderline of type 2 and I’m glad to hear that my favorite food is also great for reducing my diabetes risk. Please now tell I can eat those dozen eggs three times a day to really make my day. lol. A dozen 3 times a day may be excessive Tim 😉 But you can definitely feel free to indulge – there is no evidence to suggest eggs are bad for our health. Hello—this is great news. Just curious why the various fatty acid contents of the whole egg are different than the content of just the yolk—shouldn’t they be the same since the egg white amount is zero? Good question and the answer is not clear. We take the nutrition details from the NSDA nutrition database. To this I add the following: Has a study been done on the difference between fertilised eggs and unfertilised eggs. Fertilised eggs can last three weeks or longer since the eggs is laid over a period of time before the hen remains on the nest. Unfertilised eggs do not last long. Is it not healthier to eat only fertilised eggs??? Is it not more nutritional??? I have never seen any studies on this, so cannot answer the question. Certainly would be interesting! I sent a post on Sunday, I failed to check the followup comments box. My question was pertaining to the value of pumpernickel bread. I think you’ll find it over here. I have avoided yolks for decades because of dietary cholesterol so I am excited to read this but very curious about the break down of the lipids between LDL and HDL since I have been told that this ration is critical. Am I wrong? Some sources would be much appreciated. I look forward to reading more about this. Hi Al, foods are not broken down into LDL or HDL lipids, as this is a process your body conducts internally. It is true that the HDL/LDL ratio is important to some degree. But interestingly, despite what we have thought about cholesterol being “bad” it actually depends on other factors such as particle size. For instance, high LDL cholesterol alone doesn’t appear to be a predictor of heart disease, it’s small dense particles that increase risk. I’d suggest you read this article which explains more about cholesterol. Another important thing to note is that cholesterol in foods has little connection to cholesterol levels in your body. Your body creates cholesterol internally and in fact, by way of metabolic function, carbohydrates promote more cholesterol production that eating cholesterol from foods like eggs. These are common and deeply ingrained misconceptions that have not yet reached the wider public, but the research is certainly there. You might also be interested to read this article on fats. Just curious, but what about raw eggs. For example, people put them in egg nogs. Although egg nogs if you used rum would have too much sugar, but how about an egg nog with stevia and eggs and milk. Good point Laurie, should have included that one too! 1 large raw egg – calories 72, protein 6.2g, fat 4.7g, carbs 0.3g – really, there’s not a great deal of difference between all of them in terms of nutrition. Correct Jennifer, rum itself has no carbs- but be cautious if you’re mixing it with any juice or soda. Check out this article for more information about drinking alcohol and your diabetes. I look forward to the answer to Susan’s questions but for me it doesn’t change the fact that this is great news. I had pretty much said I don’t care and ate my eggs anyway but now I can have them guilt free. Yes Jim, enjoy those eggs. If we notice any new research that states otherwise, we would be sure to inform you! I’m curious why there would be much nutritional difference between boiled and poached eggs. Aren’t those pretty much the same, except that one is in the shell and one out? And I’m even more curious why the most significant difference in all four methods seems to be in cholesterol and sodium. Do certain cooking variables like temperature or moisture preserve or remove different nutrients? That is a great question Susan to which I do not have a definitive answer. But, based on studies I’ve looked at with other foods you are absolutely spot on – different cooking methods influence the molecular structure of foods. And of course, what you cook the singular ingredients with will change composition of foods as well.